on the set of Hogan's Heroes. 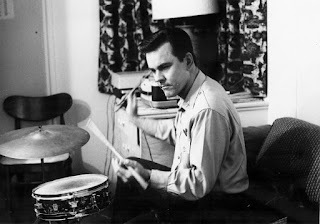 Bob Crane was just eleven years old when he first discovered the one thing that he would hold dear to him for the rest of his life: his drums. Wherever he went, his drums and drumsticks went with him, whether it was in school, on the radio, in his Hogan's Heroes dressing room, on television guest appearances, and on the road. He played his drums constantly both for enjoyment and to relieve stress. Hogan's Heroes costar Robert Clary recalled it was smart for the producers to allow him to play drums in his dressing room, stating it was not only a way for him to relax between scenes, but everyone always knew where to find him (just follow the drums!). There is no question that Bob was a talented drummer. Music producer Stu Phillips, who produced the album Bob Crane, His Drums and Orchestra Play the Funny Side of TV, and also arranged many of the numbers on the album with Bob, talked with us about Bob's musicianship. When making the album, Bob was capable of keeping up with the orchestra's professional studio musicians—some of the best in the industry, brought a lot of fun to the recording sessions, and also had a blast creating the album. As Stu said, the look on Bob's face on the album cover says it all—he was having the time of his life! 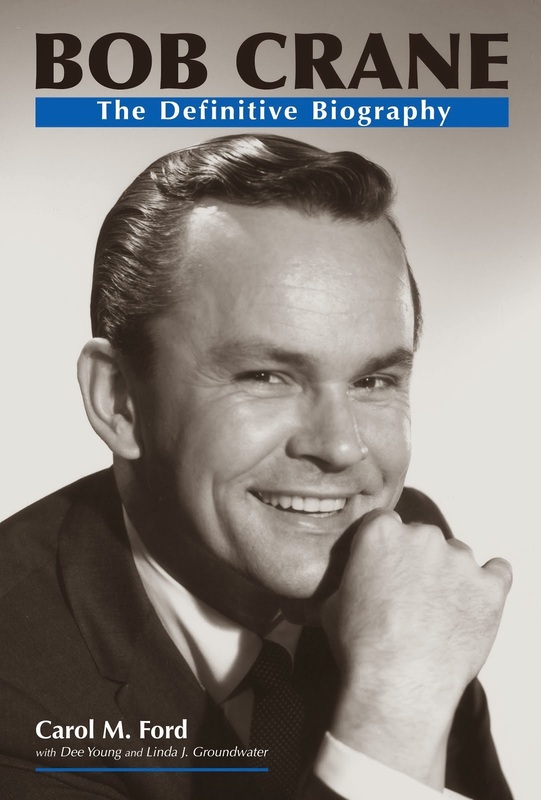 (Details of our interview with Stu Phillips are included in Bob Crane: The Definitive Biography). Just as much as I love listening to Bob's airchecks, I also love to listen to his drumming. I have a great appreciation for music, and drums run in my family. My brother-in-law, both of my nephews, and some of my dearest friends are all drummers. They are a unique breed, drummers. And by observing them, I can absolutely envision what Bob had been like when it came to his drums and music. 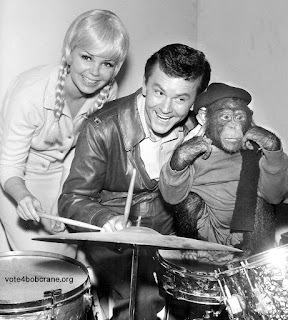 Fans of Hogan's Heroes know that Bob played drums in two episodes of the series: in "Flight of the Valkyries" (season one), where he plays timpani, and in "Look at the Pretty Snowflakes" (season six), where he lets loose on a drumset during the number "Cherokee." But he also played drums for the Hogan's Heroes theme that rolls during the opening and closing credits, as well as all of the ancillary music during each episode. Knowing that neat interesting bit of classic television trivia makes watching the show even more fun to watch! A few years ago, I had the honor and pleasure of staying with Scott Crane and his family as I spent three days going through all of his father's personal belongings as part of researching Bob's biography. Among the many items I sorted through were several cassette tapes that held his radio airchecks, random conversations, and a tape that Bob simply labeled, "My Drumming." This tape contains a solid two hours of Bob practicing or performing on drums, and it is, for lack of a better word, amazing. And that's not just because I am a fan or his biographer. This tape is further evidence of just how good of a drummer Bob was. It also shows just how much he loved playing drums and—like everything he did in his career—worked very hard to always improve his skills. On January 10, 1967, Bob appeared on The Red Skeleton Hour, during which he played drums to a classical arrangement of "Norwegian Wood" by The Beatles. This is a rehearsal track of that number that Bob taped and saved on the "My Drumming" cassette. On The Red Skeleton Hour, the audience's applause drowns out some of his drumming, but here, there is no audience interruption because Bob recorded it during a rehearsal. Enjoy! This recording is courtesy of Scott Crane.